Atrium staircase linking a period property with a new extension. 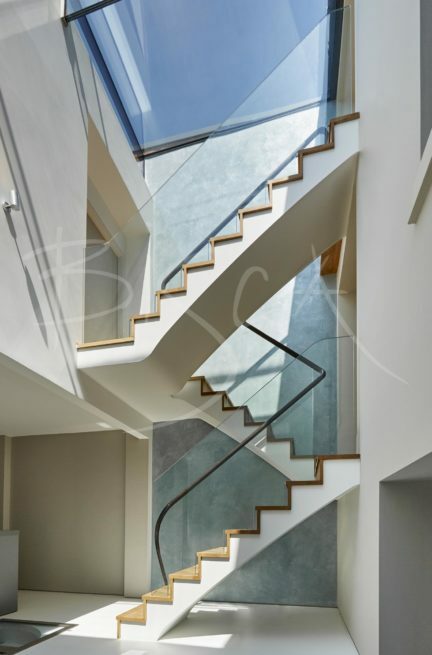 A multi-flight staircase designed for an Edwardian town house in central Oxford. 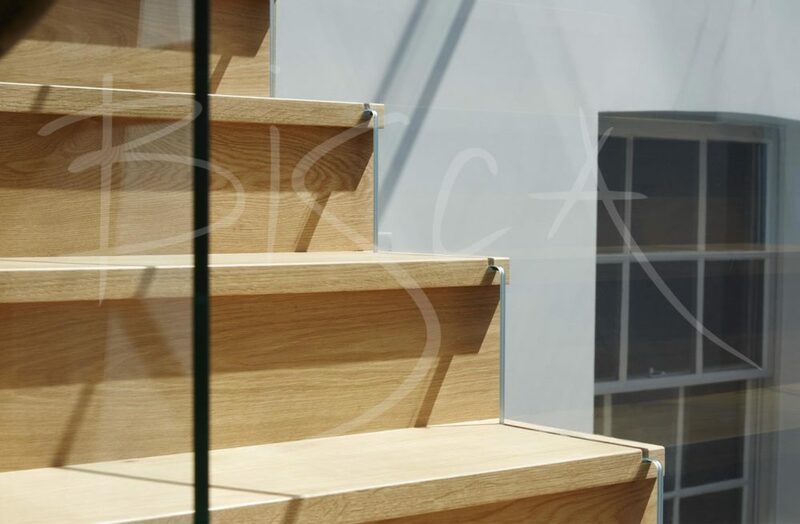 Bisca worked with Anderson Orr Architects to design a staircase to sit in the new extension. The look and feel of the staircase had to work with old and new parts of the house. 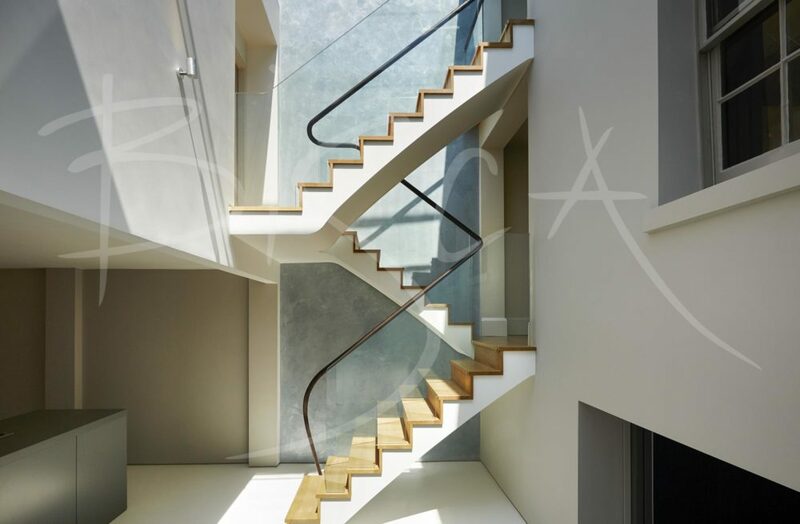 The staircase structure itself is subtlety conventional in appearance whilst the balustrade firstly is in keeping with the glass and secondly, retains the illusion of space. To provide ease access off and on the staircase at either side of the atrium we designed generous landings. The overall design is a slim, elegant and visually lightweight structure supporting oiled Oak treads. 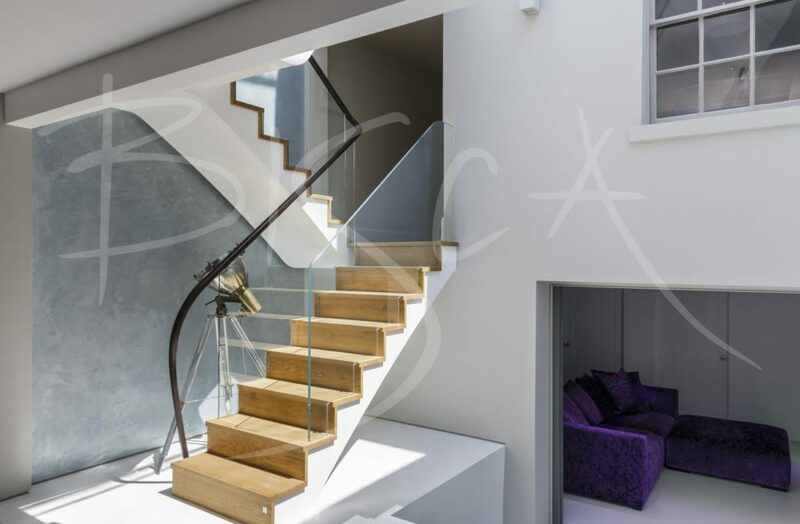 A toughened glass balustrade is slotted into the treads for a crisp contemporary look. Bisca’s signature swept back newel is evident in the continuous leather clad handrail at one side of the balustrade. Critical daylight bathes the atrium space, so the flawless nature of this staircase is especially relevant. For more information on this staircase, please quote reference 3829.